Dr. Lisa Mosconi, PhD, INHC, is the associate director of the Alzheimer’s Prevention Clinic at Weill Cornell Medical College (WCMC)/NewYork-Presbyterian Hospital, were she was recruited as an associate professor of Neuroscience in Neurology. She also is an adjunct faculty member in the Department of Psychiatry at NYU School of Medicine, in the Department of Nutrition at NYU Steinhardt School of Nutrition and Public Health, and in the Departments of Neurology and Nuclear Medicine at the University of Florence (Italy). 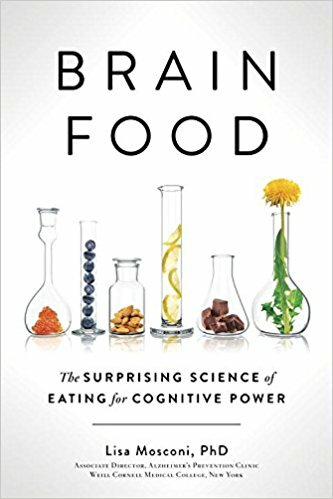 Formerly, Dr. Mosconi founded and was the director of the Nutrition & Brain Fitness Lab at New York University School of Medicine (NYU), and an assistant professor in the NYU Department of Psychiatry, where she served as the director of the Family History of Alzheimer’s disease research program. Dr. Mosconi holds a dual PhD degree in Neuroscience and Nuclear Medicine from the University of Florence, Italy, and is a board certified integrative nutritionist and holistic healthcare practitioner. She is well known for her research on the early detection of Alzheimer’s disease and is passionately interested in the mitigation and prevention of memory loss through lifestyle modifications including diet, nutrition, and physical and intellectual fitness.